Attracting new customers to your hotel is not a simple thing. Not when you have so much competition in the hospitality industry. Not only this, the way customers booked hotel rooms has seen a tremendous disruption in the last few years. To sustain this rampant change and make sure that the visitors keep coming to your hotel, you’ll have to adopt new thing too. In this blog, we are going to discuss just that – 5 ways of attracting new customers to your hotel. Give people a Virtual Tour to people before they come. One of the most important consideration that the guests have in mind is whether they’ll get the same rooms, or they’re shown online. But with the rise of modern technologies, you can really make sure that this factor does not drive guests away. You can do this by providing a virtual tour to them before they book a room. Once you have impressed them with the virtual tour, you will notice an increase in number of bookings you get. Provide them a Streamlined check-in/out Experience. This one’s deal breaker. You have the chance to create a first impression when a visitor is checking in, and you don’t get second chances to make a good first impression. Right? So, you should make sure that the customers are getting an incredible checking-in experience. You can do this by deploying a smooth-functioning billing and invoicing software. Not only this, it can be very helpful for corporate guests who tend to visit your city quite often. If you manage to impress them with a great check-in and check-out experience, they’ll surely come back. Leverage Social Media to attract more guests. Today, there are very few industries that have been revolutionized with social media the way hospitality industry has. Each guest posts a snap over Instagram or Facebook as soon as they get inside their rooms. They’ll post a pic while having meals too. That’s where you get the chance to get FREE and invaluable marketing. You can ensure that the pictures are impressive. Once you’ve done that, any other person in their circle would want to stay in your hotel whenever they visit that particular city. 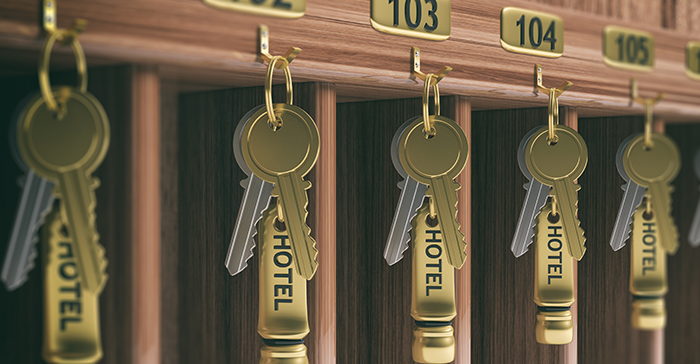 It might sound far fetched to you, but loyalty programmes can do wonders for your hotel. Guess who runs the biggest and most lucrative loyalty programmes out there in the hospitality industry? – The big players like Marriott and Holiday Inn. You can reap the benefits of running loyalty programmes too. Regulators in the tourism department and unions that work under them are very influential, especially for hotels. You can create ties with these regulators for making sure that they send guests your way regularly. Not only this, you can work for the welfare of the people in hospitality industry to gain a bigger market share. Did you like these tips? Let us know in the comment box. axisrooms has contributed 44 entries to our website, so far. View entries by axisrooms.